Eurocom has expanded the storage capacity and custom options of the Panther line of Mobile Workstations with the addition of the highest storage density hard disk drive for mobile products. The 6 TB of RAID 0/1/5/10 storage is accomplished with four 1.5 TB HGST Travelstar 5k1500 SATA 6 Gb/s storage drives. “Eurocom understands that modern professionals are requiring larger and larger storage capacity, running heavy duty applications such as Autodesk and Solidworks, that is why we are now offering the 1.5 TB HGST Travelstar 5k1500 to our clients, on top of high performance, high endurance enterprise level solid state storage options, such as Intel DC S3500 and DC S3700 with HET. At the same time there is a requirement for redundancy and performance that we offer through RAID 0/1/5/10 support.” Mark Bialic, Eurocom President. 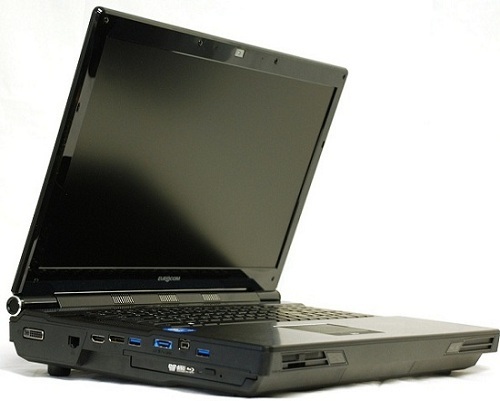 The EUROCOM Panther 4.0 Mobile Workstation and the 3D enabled Panther 5D mobile supercomputers are built to offer unmatched performance, long lifespan and full upgradeability of the processor, memory, storage, operating system and VGA technology, and are designed with the most innovative technology and components available, from workstation class desktop Xeon processors and RAID support to dual GPU capabilities. Combined with Intel Xeon processors, up to Intel Xeon E5-2587W, with 8 cores, 16 threads, 20 MB of L3 cache, running at 2.9 GHz and 6 TB of high capacity SATA 6 Gb/s storage will offer Eurocom customers super computing capabilities on the go. Supporting the most powerful mobile professional graphics solutions including the NVIDIA Quadro K5000M, K40000M, K3000M and K2000M in the EUROCOM Panther ensures they are able to run the most demanding engineering and design software with ease, while on the go. Travelstar 5K1500 drives ship with a 32 MB cache buffer and a 0.5 watt low power idle, which offers high performance, energy efficient operation for longer battery life in the Panther Mobile Workstation. The 1.5 TB HGST Travelstar 5k1500 offers operating shock of 400G/2ms to protect against drops and bumps while on the go, in the toughest environments. A dual stage actuator is also included for track miss registration improvements for greater data integrity and reliability. Combined with RAID 0/1/5/10 capability in the Panther, storage performance and redundancy. EUROCOM Panther uses quad channel memory, and enables it to support up to 32GB of DDR3 1600MHz RAM via four 8GB SODIMM 204 pin modules. •	VGA TECHNOLOGY: Two MXM 3.0b slots. Single and Dual graphics operation. up to 100W per card. •	800GB SSD MLC; Intel DC S3500; SATA3 6Gb/s; 20nm; 7mm; 2.5"
•	600GB SSD MLC; Intel DC S3500; SATA3 6Gb/s; 20nm; 7mm; 2.5"
•	480GB SSD MLC; Intel DC S3500; SATA3 6Gb/s; 20nm; 7mm; 2.5"